MIL Centro is a new gastronomic project by chef Virgilio Martínez, located on the edge of the Moray Archaeological Complex. The restaurant sits at 3680 m.a.s.l. on the Sacred Valley of the Incas, 23 miles from the city of Cuzco, close to the village communities of Misminay and Kaccllarakay. 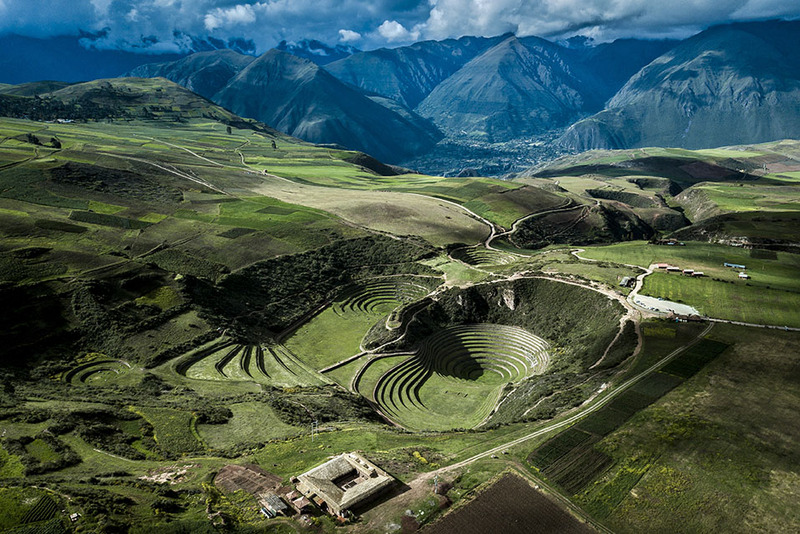 The Moray complex is believed to have served as an agricultural research center under the Incas. Its terrace system, shaped as concentric circular platforms, allowed them to experiment with ecosystems and microclimates at different heights. This yielded them a great variety of crops, not to mention a deeper understanding of the complex geography of the different characteristic altitudes of Peru. 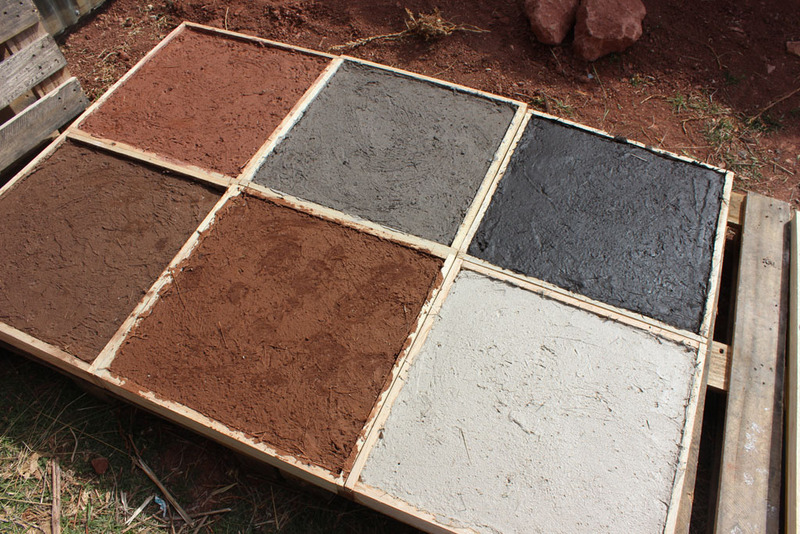 Visitors to MIL Centro will recognize the Andes landscape in it, and how it integrates with its geography and ecosystems through the materials and techniques employed in its construction: local earth, fibers and minerals, each with its particular color and texture. Through the diversity of local materials and techniques, a sense of time and space is recovered. 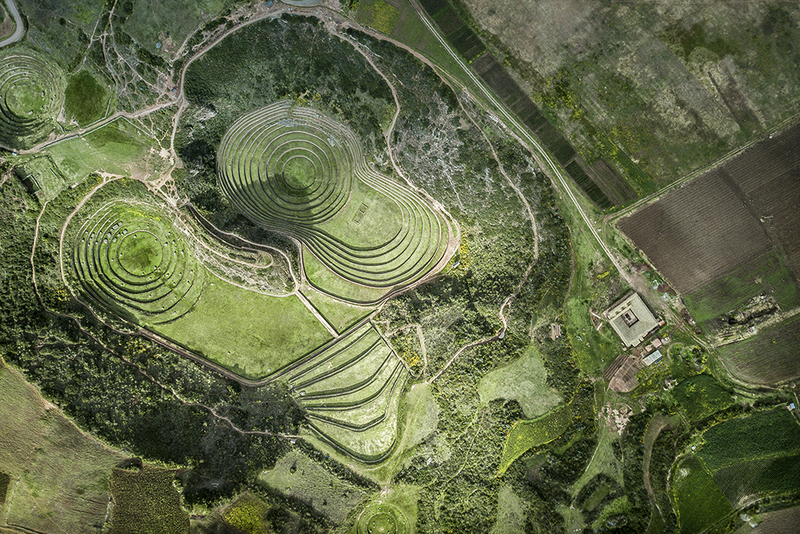 The new construction seeks to integrate into the archaeological complex of Moray through landscaping elements. Engaging with this ancient technology allows us to revalue the cultural landscape it represents, and experience the coexistence of different times. We believe it is paramount for architecture to tie into the local communities and bring continuity to the historical legacy of their traditions. 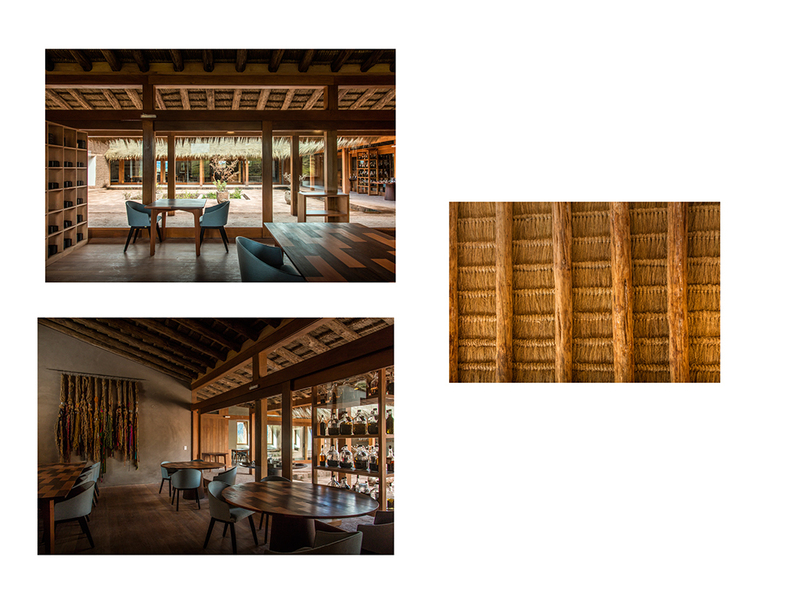 This way, after remodeling the building, originally design by architects Óscar Borasino and Ruth Alvarado, the restaurant merges into Moray’s natural, cultural and social setting organically and respectfully. 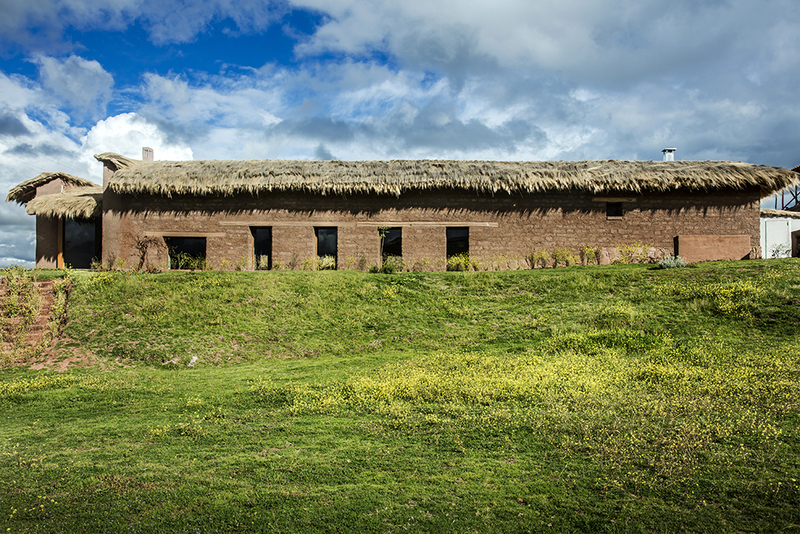 Besides its restaurant program, MIL Centro is home to Mater Iniciativa, a biological and cultural research center devoted to an interdisciplinary exploration of the Andes’ product biodiversity and ancient techniques. 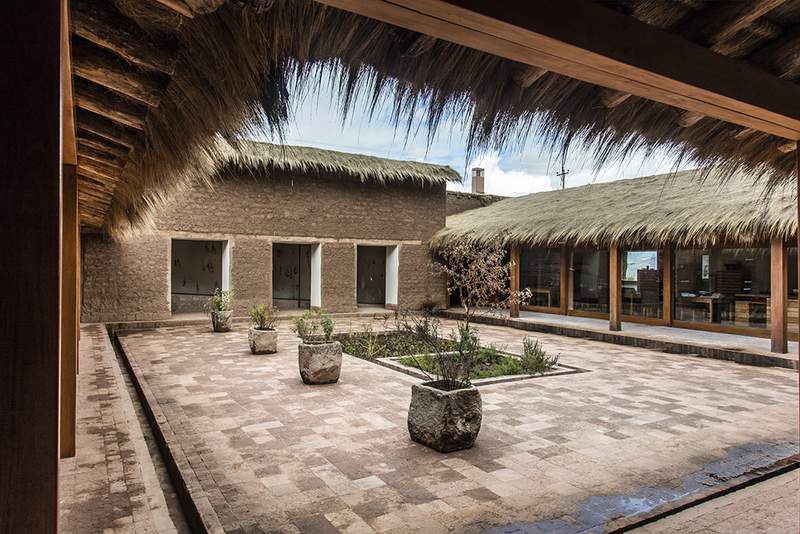 It also houses Flavour Lab Cacao, a laboratory that researches and works with cacao chuncho, a wild species of cacao that grows in Quillabamba, a city in the Cuzco region bordering the Amazon at 1050 m.a.s.l. Finally, the bar program is complemented by a microlaboratory dedicated to ferments, distillates and macerated liquors based on local species. From its beginnings, MIL Centro sought direct contact between the public and the community agricultural processes and sceneries of Moray. The main idea behind the project is to preserve harmony between the botany in the area and integrate the agricultural and landscaping processes into the restaurant’s gastronomical experience. The Moray Archaeological Complex is surrounded by orchards belonging to the Misminay and Kaccitarakay communities, where they cultivate over 50 native potato, fava bean, mashua, quinua and kañihua varieties. 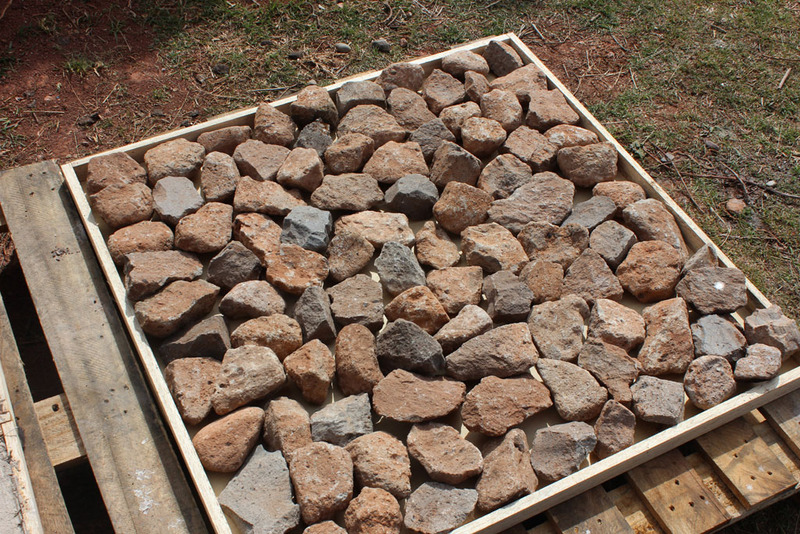 In addition, there are special areas for sun drying tubers and for artisanal earthen ovens called huatías. These two gastronomic activities are descended from the open air rituals of pre-Hispanic times. Inside the restaurant, the spaces are organized around a central stone patio and an inner garden featuring native species, with the queñua tree as its main protagonist. The Andean queñua tree is currently endangered, and there is a national program for its recovery and preservation. Its capacity to regulate the weather, prevent soil erosion and feed water springs makes it essential to the valley’s ecosystem. We decide to use materials employed by the inhabitants of this valley, as well as artisanal techniques whose practice isn’t commonplace like in the past: weaving with ichu fiber, stone carving and finishes in adobe and colored clays. The first step was to harken back to these construction techniques and get to know them in-depth. We sought to recover them in order to reinterpret and integrate them with contemporary technologies and processes, allowing to develop and reinvent them. 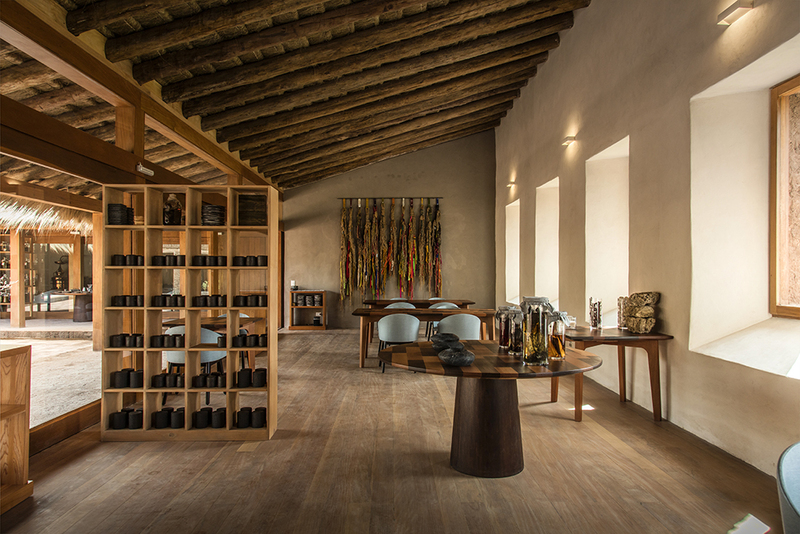 We believe in a close relationship between the materials, climate, altitude, history and artisanal traditions of each place. Ichu is a type of grass that grows at 3800 m.a.s.l. in the South American Andes. It was used by the Incas for various activities, such as roofing their buildings and weaving bridges. This technique endures in some locations across Perú: its vestiges include the hanging bridge of Queshuachaca, in Cuzco, and the church ceilings of the Incahuasi district in Lambayeque and the Marcapata district in Cuzco. Reinterpreting this technique and choosing this plant species for the restaurant’s roofs was our way to salvage the collective consciousness of the past, transform it and project it upon the future. 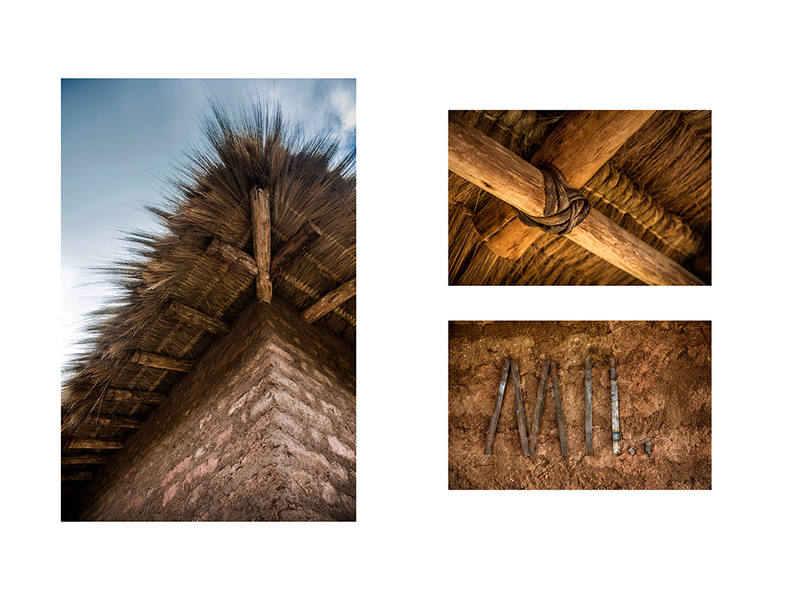 From the start, we were interested in having the nearby communities involved in the roofing process, just as different communities would periodically come together in the past to celebrate the Minka, the renovation ritual of weaving new roofs for their buildings. Important material research was also done to choose the earth. For the outer facade, we experimented with a building system based on mixing the earth with resin derived from cacti. The resin waterproofs the earth and protects it from erosion due to rain waters. The treatment allowed the outer walls to blend in with the natural surroundings by showing the same color as the earth in the valley. For the treatment of the inner walls, we collected different kinds of earth from the surrounding areas and applied them to the halls. 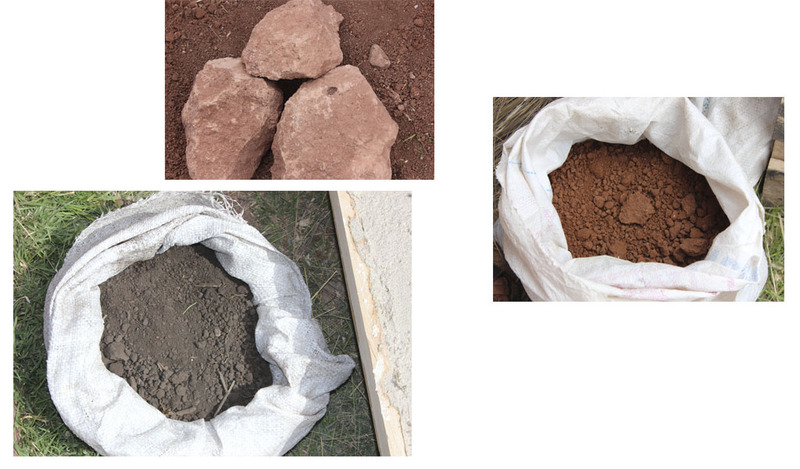 The predominant variations on white and grey evidence the diversity of tones and types of soil that exist in a single place. The entrance stairway to the restaurant was designed with blocks of stone worked by local artisans. The steps in the stairway gradually become small terraces where native plants are cultivated. This way, we create a small transition space whose lytic materiality and graduated shape connect the archaeological area and the new MIL Centro restaurant. 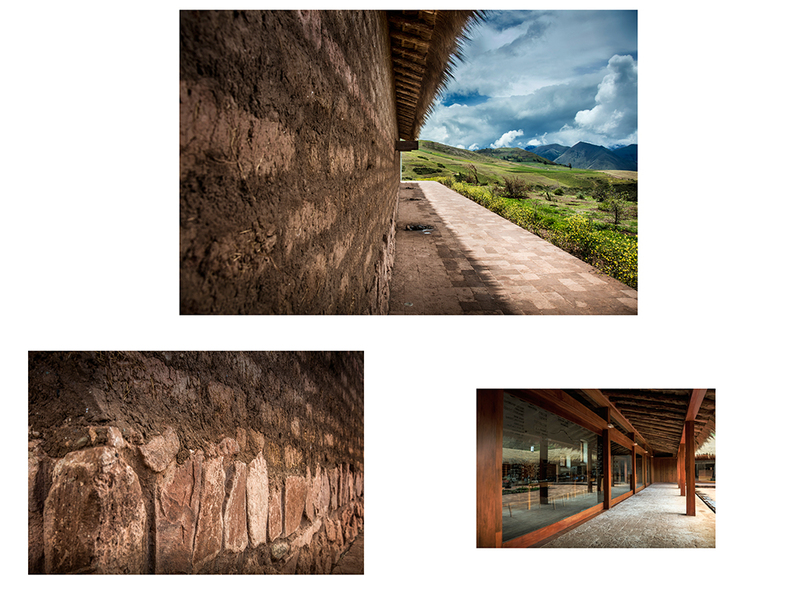 Finally, at MIL Centro, we seek to minimize the impact to protected areas, proving that the natural materials in the area are more sustainable that the materials that dominate contemporary Cuzco structures. On the other hand, we believe that the importance of preserving our country’s traditional techniques lies in its capability to encompass specialized knowledge and practices that were developed over thousands of years and passed down for generations. 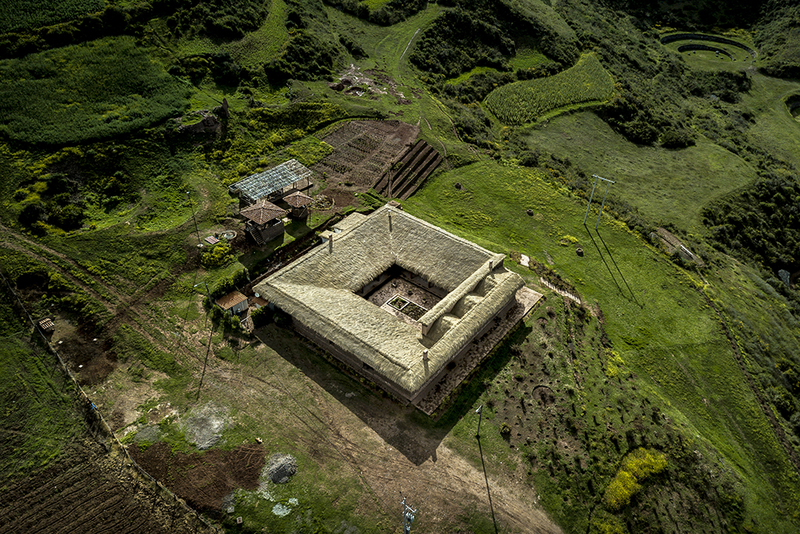 MIL Centro aims to recover and transform the ancient techniques and use of natural elements that materialized the lives of the original peoples of Peru: the construction of its religious centers, their homes, their tools and their different kinds of technology and rituals. We want to restore value to an architectural vision based on its direct relation to the natural, material and cultural setting it means to intervene.